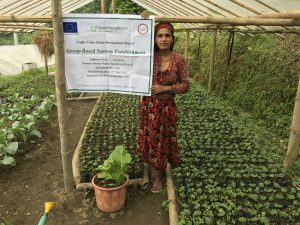 Under the “European Union support to the competitiveness of quality coffee in Nepal”, Good Neighbors International (GNI) Nepal is implementing Coffee Value Chain Development Project (CVCDP) in partnership with Beautiful Coffee Nepal (BeaCoN) in Kaski, Syangja, Gulmi and Palpa districts of western Nepal and in coordination with 60 Primary Coffee Cooperatives (PCCs) at village level and Union of Coffee Cooperatives at district level. This two-year-long Project, started in March 2017 and ends on March 2019. 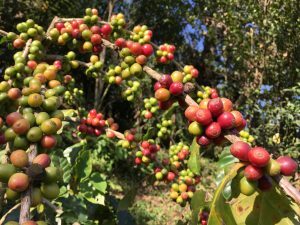 Primary target group includes 3000 small-holder coffee farmers associated with Primary Coffee Cooperatives (PCCs) and secondary target group includes: institutions and market actors involved in production, processing and marketing of coffee in Nepal. At the national level, the Project also aims at institutional strengthening of National Tea and Coffee Development Board (NTCDB) through the establishment of a comprehensive information management system. With the aim of making small-scale coffee farming competitive, thereby, increasing the income of associated coffee farmers, this Project intends to increase coffee production in targeted areas by expanding plantation and boosting productivity in suitable ecological niches. Reduced poverty and stimulated trade-led economic growth in Western Region of Nepal through strengthening competitiveness of small scale coffee growers. To increase coverage, production and productivity of organic coffee. Institutionalization of coffee value chain and effective policy advocacy through capacity strengthening of institutions of coffee sector. To improve marketing system of coffee at National and International level.